So, much has changed in the world of Magners advertising, writes Matt Willifer, executive strategy director, WCRS. Admittedly, this latest campaign has some passing (and important) similarities to the "Method in the Magners" work - like, well, Irish people who really like cider and a lilting monologue that flows like the River Liffey through each ad. But much else is different. The central strategic change has been the shift from dramatising product truths to dramatising the emotional benefit. In the old campaign, set in a timeless rural idyll, we were told about Magners being made in the dark, the apples being soundly pressed and the pollination of 17 varieties of apple. Now, in contrast, our protagonist wanders through contemporary Irish watering holes, urging us to embrace all things "Now". What's more, he does it in rhyming couplets. The endline is "Now is a good time." By "Now", two things are meant. First is the emotional benefit. "Now" as in spontaneous, embracing opportunities as they arise, going with the flow. Something that fits well with both the generic emotional benefit of a night on the tiles, and with a reinterpretation of the Irish easy-going nature that brands it as Magners. Second, "Now" means "modern, not then". If the old advertising was set in a world that felt like something of a throwback to more innocent times, this is a champion of today. In fact, there is a conscious break with the past: "Yesterday's gone and tomorrow is here" we are told. What about the change of direction? From a strategic point of view, it makes sense. I was never sure that Magners had the ammunition to support the product-quality strategy. Why were 17 varieties of apples better than one? We were never told. And the fact that Magners is made in the dark to improve its quality seemed to be grasping at straws. Unless there is a good reason not to, associating with an emotional benefit feels like the right move in this category. And, while spontaneity and "now"-ness are pretty well-trodden, there is enough in linking these to (stereotypical) Irish traits to make it ownable. At an executional level, I am not so convinced. The humour, quirkiness and sense of fun of the previous campaign have been lost. In extolling its philosophy of the now, this campaign takes itself very seriously; a Noel Gallagher wisdom, or perhaps Pam Ayres with a slight humour bypass. Life is a dream that has already come true. Less of the what and the where and the how. Perhaps it's just me. I'll let you be the judge. 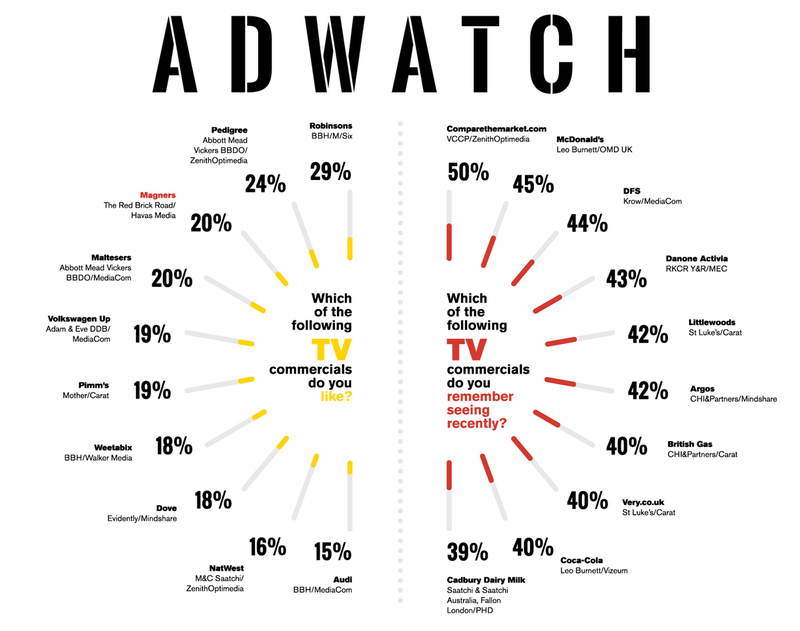 Adwatch prompted advertising-awareness research was conducted by TNS as part of its twice-weekly OnLineBus omnibus among 1000 adults aged 16-64. For details of the survey, contact emma.dolby@tnsglobal.com (020 7656 5890). Ads were compiled by Ebiquity (020 7650 9700) and Mediaedge:cia UK (020 7803 2000).